Dr. Kramr is a dentist in Bryan providing comprehensive dentistry services for patients in the surrounding areas. As a dentist licensed in Texas since 1997, Dr. Kramr provides preventative examinations, advanced diagnostics, and treatments regarding oral and dental health. Dr. Kramr works hard to stay abreast of the latest advances in dental care and participates in regular continuing education seminars and advanced training courses. It is because of Dr. Michael Kramr's dedication to improvement and growth in a variety of dental technologies, treatments, and procedures that our Bryan/College Station area dental patients receive the most advanced, efficient, and effective general and cosmetic dental care available. Dr. Kramr and his wife, Becky enjoy raising their family in Bryan. 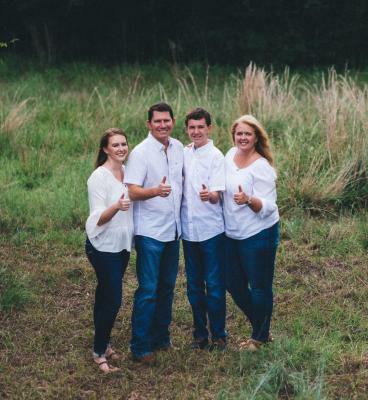 The Kramrs are active members of their church, volunteers in several school organizations and avid fans of Aggie Athletics. In their free time, they love to travel and visit with family and friends.